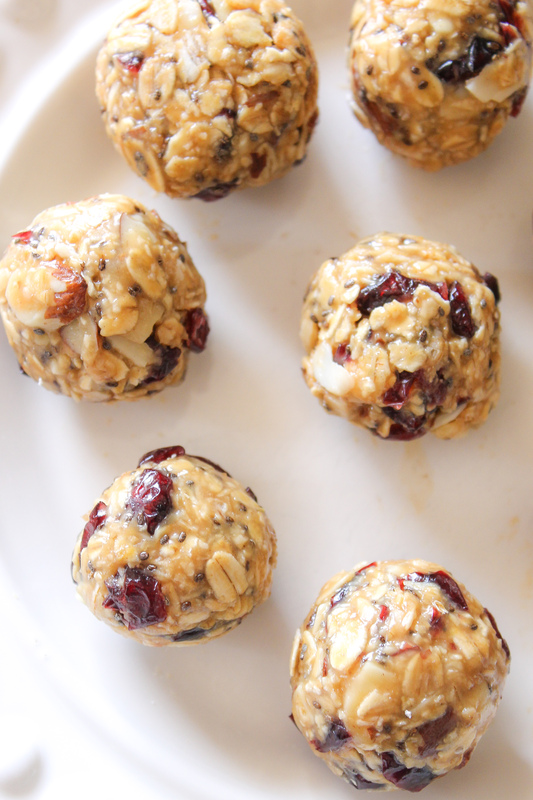 Energy Bites are one of the most convenient snacks to make. I love making a batch to snack on during the week. The store perfectly in the refrigerator and I actually even like them better a few days after I make them because they have had time to sit. Instead of eating vanilla ice cream (my favvvv treat) when I want dessert, I just eat these instead- it cures my sweet tooth so I’m happy with it. Eating clean is something I love doing but of course, it doesn’t always happen and I am totally okay with that. Speaking of, I brought cinnamon rolls to work today for a potluck so there’s that…it’s called balance! Clean eating isn’t as difficult as it seems. 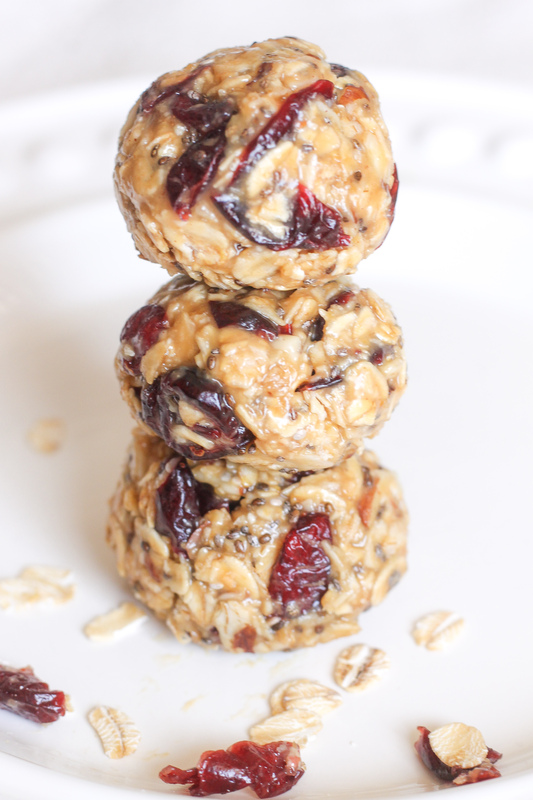 It is important for me to make snacks like these because if it’s in the fridge chances are we will eat it! Using simple and whole ingredients is key when eating clean. These taste similar to the Cranberry Almond Antioxidant KIND Bars that I’m obsessed with- this is just in a bite size form! 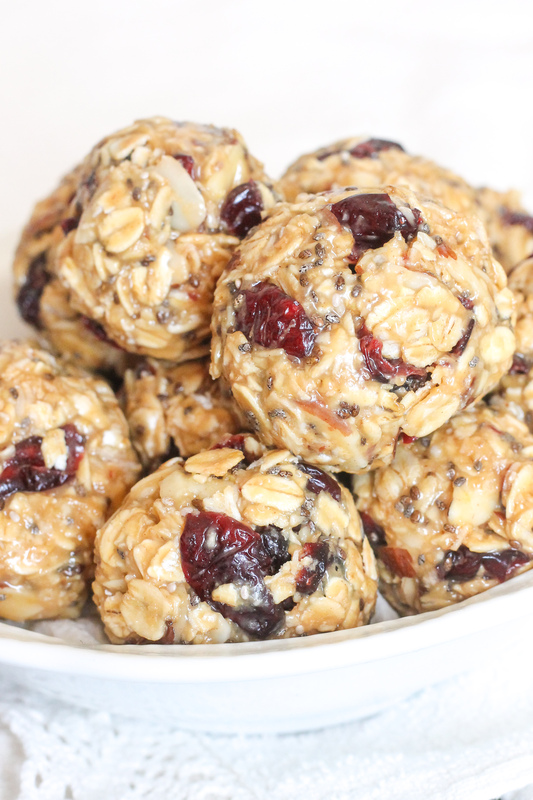 Healthy, chewy and sweet-these delicious bites are hard to beat! Combine all of the ingredients together and mix until combined. With a mini ice cream scoop, scoop the mixture and roll into a ball. It should be bite size or about the size of a golf ball. Let refrigerate for about 15 minutes and enjoy!